In the third part of this serialisation, it's a showdown of luck! The universe's greatest idol should also possess the greatest luck in the universe, shouldn't she!? And as a special guest, we herald the appearance of someone who possesses good luck and competency = Suzuki Airi-senpai, who adorns [this issue's] UTB cover by herself! In order to become the greatest idol in the universe, luck is also required! And with that, this month, we're trying out a battle of luck!! But before that, we are graced by the presence of a special guest. 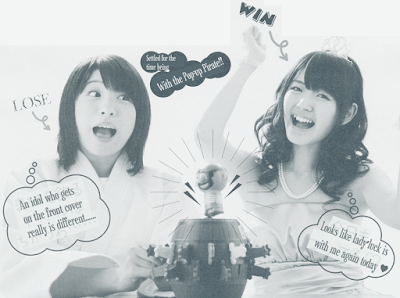 Adorning this issue's cover, it's the star Suzuki Airi-senpai~. 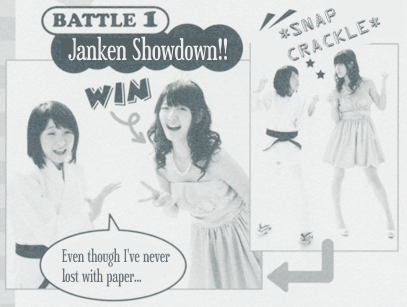 (While that's a different matter altogether...) The battle with this extremely competent opponent will start with a janken showdown. 'Jan Ken Pon'. 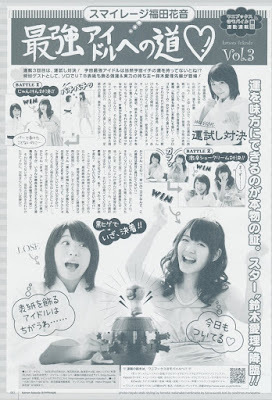 After a series of repeats, with Airi-senpai = scissors and Kanyon = paper, it's Airi-senpai's victory! Well, it's a battle of luck, so you don't have to make it such a psychological battle though... (laughs). So overthinking was the cause of your defeat!? 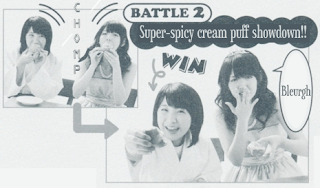 For a change of mood, the second challenge is that absolute classic, a super-spicy cream puff showdown~! 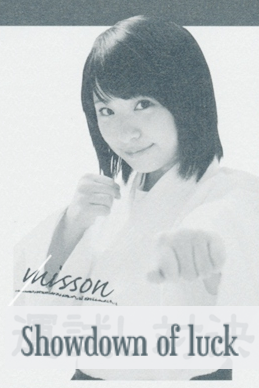 Said Kanyon, even more pumped up than usual. She's using underhanded tricks like patting them with her hands, and sniffing the cream puffs (laughs). Hey, hey, it's a battle of instinct! 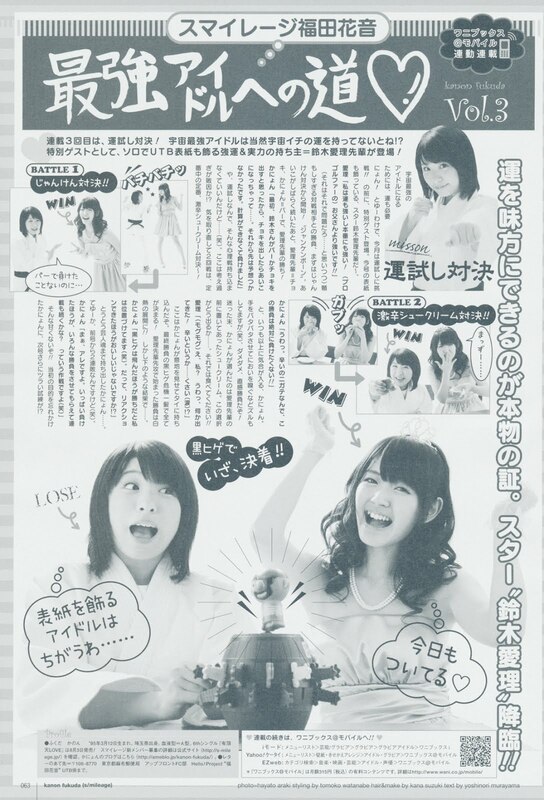 After puzzling over them, the one picked by Kanyon was placed in front of Airi-senpai. How did she arrive at this choice... Well, please take a bite!! In the end, Kanyon is bringing out her entertainer's spirit... That said, this is two straight losses in a row, counting from the previous episode (laughs). That's taking things too lightly!! Will Kanyon, who has forgotten her original motivation, face an even tougher trial in the next edition! ?